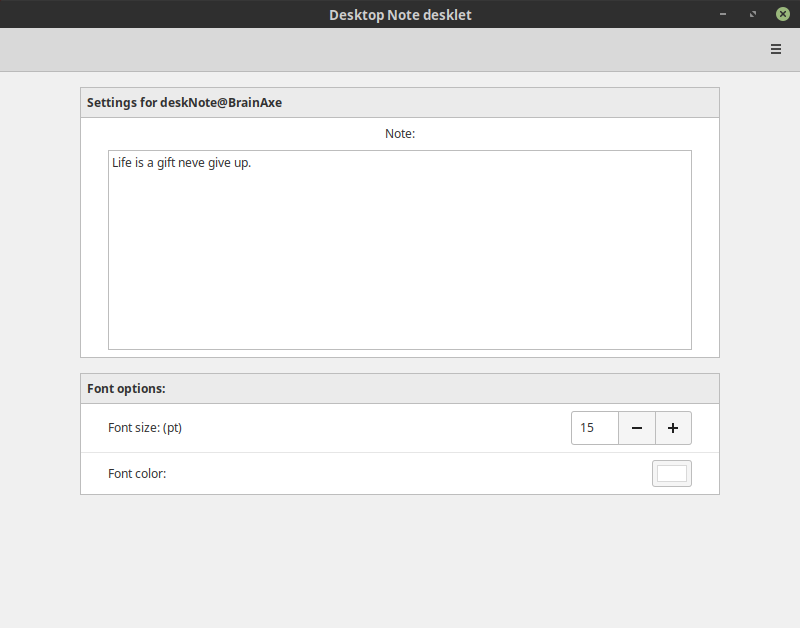 This desklet displays a note on the desktop. Right click it to configure at any time. The following options are configurable via the Cinnamon Desklet GUI by right clicking "Desktop Note desklet" and choosing Configure. For newline use %% (symbol). Important: Cinnamon may need to be restarted and/or the desklet may need to be removed and re-added for this change to take effect.